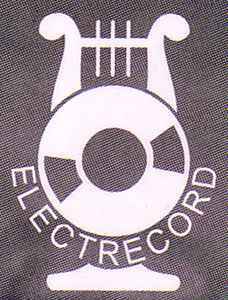 Electrecord is a Romanian label, founded in 1932 as Cristal (2). It served as the only record label in communist Romania, transformed into the national recording company, following the centralization-oriented socialist doctrine. In order to avoid disc importing from Western Europe and U.S., Electrecord was often demanded to release copies of some of the discs released abroad (just as recording companies in U.S.S.R. were doing themselves). Even today it is the subject of many anecdotes complaining about the bad quality of Romanian discs; a comparison between an import and a local copy would be the most eloquent proof. All in all Electrecord had a very difficult task to maintain a good balance between the government's demands and that of the artists and listeners. Despite the bad quality of recordings and lack of information with disk covers (regarding line ups and personnel), Electrecord proposed a number of collection discs, of which the most successful were those of the Formații de muzică Pop (Pop music bands) series, which became Formații Rock (Rock bands) starting with number four (one must keep in mind that even the word rock was a concept very difficult to accept by the regime!). From 1990 on, Electrecord gradually lost market share as new recording companies emerged. However, some of the musical groups who had worked with them before have carried on until today. Aside from these cases, most of the discs Electrecord released after 1990 were either best of's extracted from older recordings or remastered versions of LPs recorded years before. For production credits see Electrecord. Studios: Studioul Tomis & Studiourile Electrecord. Romania's variant of Deutsche Grammophon. "Gramofonul românesc", if you will.